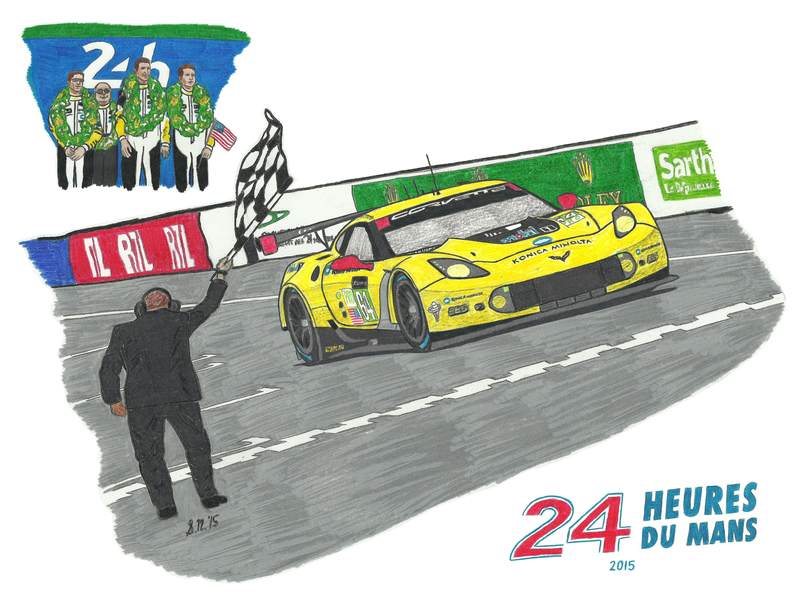 Dubbed “Triumph Over Adversity”, this latest piece celebrates Corvette Racing’s victory in the GTE PRO class at the 2015 24 Hours of Le Mans. On the back foot with it’s sister car taken out prior to the race, the team put all of it’s support behind the #64 entry with a night long battle resulting in a historic victory (the team’s first since 2011). Limited to just 100 pieces, this piece commemorates the intense effort and glory behind this victory and comes numbered and digitally signed.